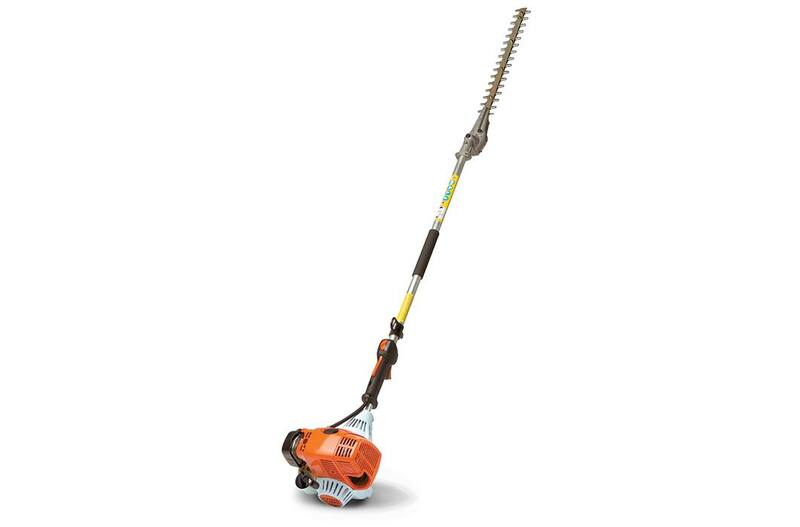 With a 42” shaft length, the HL 100 K (0º) extended reach hedge trimmer from STIHL is the professional landscaper’s answer to extra tall and wide hedges. Its fixed-angle trimming head delivers constant cutting power to all hedge areas, even those thicker shrubs that don’t like to be cut – you know the ones. In addition to power and torque, this hedge trimmer also features a low-emission engine, making it environmentally conscious. It’s a well-rounded choice for active trimming professionals.